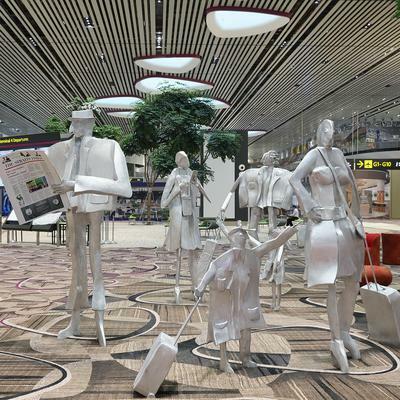 If you've travelled through Singapore's Changi airport it's likely that you've stepped foot on a Brintons carpet. Over 300,000 sqm of Brintons wool-rich woven Axminster carpets can be found on the floors of the world's best airport, throughout Terminals 1, 2, 3 and now in the cutting edge, super trendy Terminal 4 (T4). 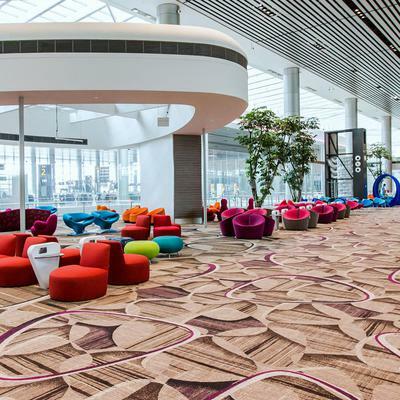 Brintons has enjoyed a successful relationship with Singapore's Changi Airport Group for over 25 years and is thrilled to have been commissioned to supply 75,000 sqm carpets to the airport's Terminal 4 building. Five years in the making, the S$985 million two-storey Terminal 4, opened in October 2017. 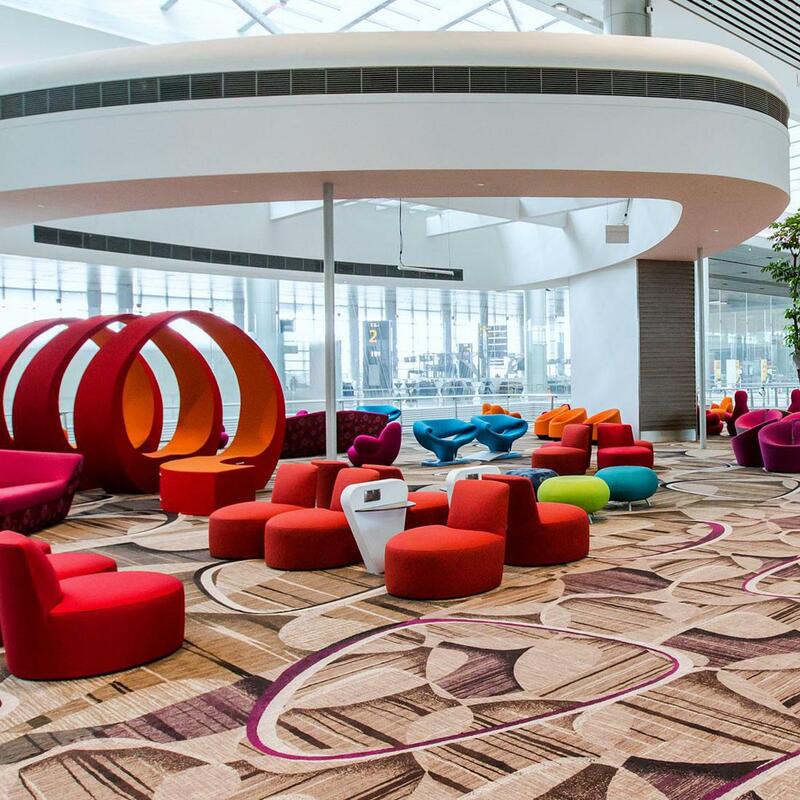 Working in partnership with Singapore's SAA Group Architects, UK based Benoy Ltd and Brintons' installation partners Arista Interior Décor Pte Ltd, Brintons' global team of designers and project managers developed a high performance, contemporary design solution for the floors. The thoughtfully designed Axminster carpets provide a sophisticated backdrop to the dynamic, vibrant and colourful interior. The terminal's interior design draws inspiration from the orchid petal. The symmetrical petal motif is applied ubiquitously across the interior finishes and was carefully translated by Brintons designers into a stylised, huge scale pattern for the floor. The flooring design was built up layer by layer, giving the pattern incredible depth and texture. Technically challenging, it was critical that the carpet patterning was smooth and seamless, providing transitional flow across the width and length of the vast concourse spaces. 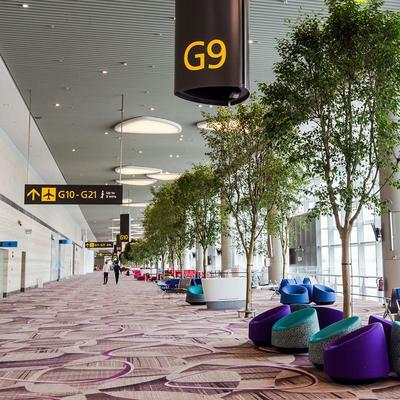 The wool-rich Axminster carpets enhance the wellbeing of Changi's passengers - softening acoustics, offering comfort underfoot and reducing leg fatigue compared to hard flooring alternatives. 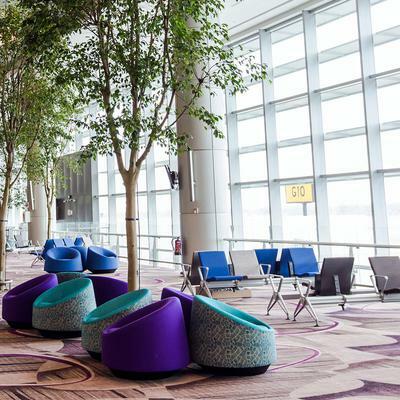 Brintons high performance carpets have been engineered to meet the rigorous demands of Changi's high volumes of passenger traffic. Close to 60 million passengers walked through the airport in 2016 and this is set to increase with an extra 16 million passengers expected to use Terminal 4 per year. 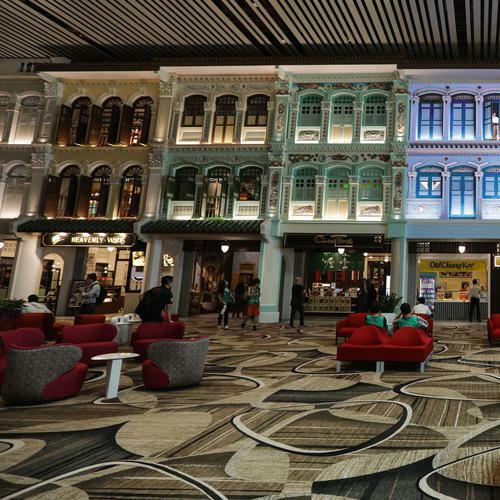 Brintons is proud to have worked alongside the teams at SAA Group Architects, Benoy Ltd and Arista Interior Décor Pte Ltd to deliver this impressive, complex, technically challenging, large scale public space project on schedule and to budget.